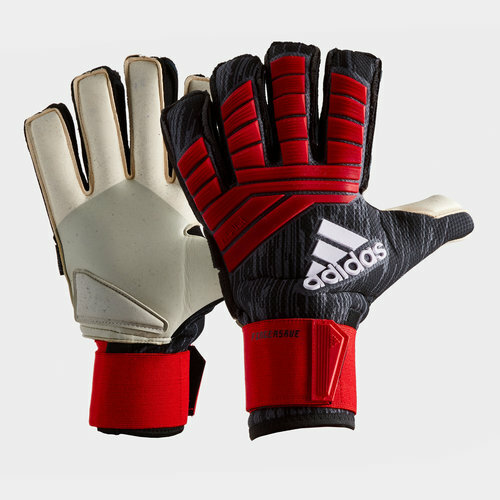 Keep your hands protected as well as your team's scoreline with excellent shot stopping when you wear the adidas Predator Pro Fingersave Goalkeeper Gloves in Solare Black, Red and White. 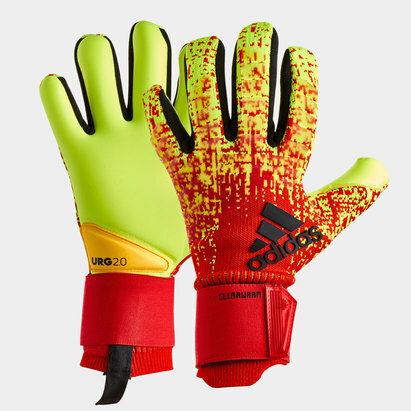 As a goalie your job is simple, keep the ball out of the net, these goalie gloves have been made with certain design features to make that job easier; the optimised grip ensures excellent ball handling in every condition and in combination with the rolled finger construction, saving the ball from the net has never been easier. Whilst the glove is seamless in design, there's still plenty of foam zones providing protection and shock absorption with the stretch strap locking the gloves to your wrists.